It is the stated position of the New Jersey Family Court system that decisions regarding child custody will consider the needs and well-being of the child first and foremost. That is why any history of domestic violence can have a major impact on child custody agreements. Whether you are a parent who wants to keep your children safe from an abusive co-parent or caregiver, a parent who has been falsely accused of domestic violence, or a parent who has been abusive in the past and is seeking a second chance, it is vital to understand how domestic violence is weighted in child custody proceedings. At The Bronzino Law Firm, we understand that for many parents going through a divorce, nothing is more important than taking care of their children. We take pride in serving parents and families from local Ocean County towns including Point Pleasant, Toms River, Brick, Jackson, Wall, Asbury Park, and across Eastern New Jersey. Our smaller firm size allows us to give each one of our clients the individual attention they need and deserve when going through such a stressful and critical child custody dispute. Call our office today for a free and confidential consultation with our qualified and experienced legal team regarding your child custody legal concerns and how a history of domestic violence might impact your case. Charges of domestic violence can either be filed as criminal charges or as civil complaints through a restraining order hearing. Judges will consider the evidence of those court proceedings and the outcome to your case(s). A conviction of domestic violence is not a death sentence when it comes to child custody, but it is a major mountain to climb. A history of domestic violence can have a massive impact on your child custody legal proceedings. If a judge determines that you or your co-parent’s previous violent behavior could pose a danger to your child, child custody terms will be considered accordingly. On the other side of the coin, for parents with a history of domestic violence, it is possible to effectively prove that you have reformed and are now able to be a safe and effective caretaker to your child. What if I Have Been Falsely Accused of Domestic Violence by a Co-Parent in Monmouth County? Sadly, our Ocean County domestic violence and child custody lawyer has seen plenty of cases which involved false accusations of domestic violence. Many of these cases involve threats of legal action or actual final restraining order hearings or criminal trials which end up showing no wrongdoing by the accused parent. 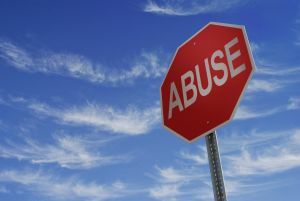 False accusations of domestic violence may carry similar implications to actual incidents or domestic violence for New Jersey parents. Judges will view a false accusation as a serious black mark against the accusing individual. This goes back to the concept of the best interests of the child. 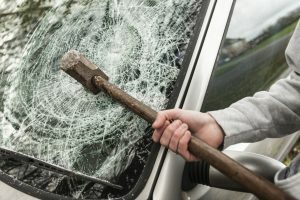 Individuals who intentionally manipulate and threaten a family member may be considered unfit parents by the courts as their moral compass and decision making has been called into question. 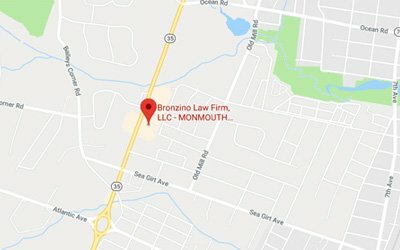 Domestic violence and child custody lawyer Peter J. Bronzino, Esq. 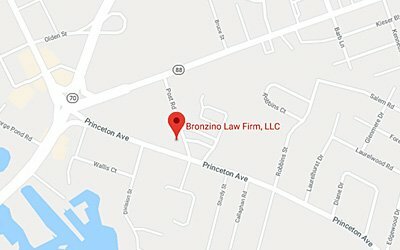 has extensive experience serving clients in contentious child custody disputes throughout Ocean County towns such as Toms River, Wall, Point Pleasant, Asbury Park, Spring Lake, Brick, and all of Eastern New Jersey. Our firm believes in keeping clients informed and involved throughout the legal process so that we can deliver uniquely personalized legal solutions. If you are looking for an attorney who will passionately and aggressively defend your legal rights as a parent during child custody or other legal proceedings, look no further. Contact us online or through our Brick, NJ offices by calling (732) 812-3102 today for a free and confidential consultation regarding your child custody concerns and how a history of domestic violence may come into play for you and your family.